NASA is now aiming to launch the SMAP Earth-watching satellite on Saturday, Jan. 31, at 9:20 a.m. EST (1420 GMT) to allow minor repairs to the satellite's Delta II rocket after some so-called "debonding" was detected in the booster's insulation. You can watch live coverage of the launch on Saturday morning here, starting at 7 a.m. EST (1200 GMT) with commentary from NASA TV. The European Space Agency plans to deliver its new Portable On-Board 3D Printer (POP3D for short) to the International Space Station by the end of June, making it the second 3D printer in space. The diminutive 3D printer is a cube that measures just under 10 inches (25 centimeters) per side and requires a small amount of power to operate. The Falcon 9 rocket is the vehicle that brings Space Exploration Technologies (SpaceX)'s Dragon spacecraft into space. Towering 227 feet tall, the rocket generally hefts up to 29,000 pounds (13,150 kilograms) of cargo into low-Earth orbit. SpaceX regularly uses the Falcon 9 to bring its Dragon spacecraft to the International Space Station. Dragon made the first private spacecraft visit ever there in October 2012. A San Francisco-based developer of nanosatellites announced Jan. 29 that it plans to start deploying a constellation of spacecraft by the end of this year to collect weather data for government and commercial customers. Spire said that it believes its constellation of cubesat-class satellites, which will eventually exceed 100 spacecraft, will provide data that will greatly improve the accuracy of weather forecasts. Pascal Jaussi, a former Swiss air force pilot and flight test engineer, began working on a project to develop a reusable suborbital shuttle in 2005 while studying mechanical engineering at the Swiss Federal Institute of Technology in Lausanne’s Swiss Space Center. The end of that project in 2009 marked the beginning of Jaussi’s own campaign to build a multinational team, devise a business plan and attract private investors for Swiss Space Systems (S3). SpaceX’s Jan. 20 confirmation that Google and mutual-fund giant Fidelity Investments had invested a combined $1 billion in SpaceX set the stage for what could be a multi-year competition for capital and engineering resources among consortia aiming to build satellite networks for global Internet connectivity. Google wasn’t talking, but industry officials immediately assumed its SpaceX ownership stake was not based on Google’s newfound attraction for launch vehicles, but rather on SpaceX founder Elon Musk’s decision to build an Internet backbone in low Earth orbit. With nine flights booked and three more in negotiations, Arianespace is confident it will have regular launches of the Vega small satellite rocket starting this year. The long-awaited demonstration of the European Space Agency’s Intermediate Experimental Vehicle (IXV), is currently planned for Feb. 11. Two more launches, one for a Sentinel satellite for the Copernicus program, and another for the LISA Pathfinder research satellite will round out 2015. Going forward, Arianespace anticipates conducting as many or more launches per year between now and the introduction of the Vega C next generation rocket. Khrunichev State Research and Production Space Center reports the Proton Integrated Launch Vehicle (ILV) has been transferred to the fueling area at the Baikonur Cosmodrome. Fueling the Breeze-M upper stage low-pressure tanks will take two days to complete, after which the rocket will be rolled out to the launch complex. International Launch Services (ILS) is conducting the mission, which will launch Inmarsat’s second Global Xpress (GX) High Throughput Satellite (HTS) Inmarsat 5 F2. Satcom Direct’s Land Mobile group, which focuses on satellite communications solutions for its land-based enterprise customers, is now authorized to provide Inmarsat Global Xpress (GX) products and services to its clients. Satcom Direct has been an Inmarsat partner since 1997 and has now been appointed as a Value Added Reseller (VAR) by the satellite operator to offer enterprise customers VSAT services via Inmarsat’s GX Ka-band satellite network. Moon Express, a California company competing for the Google Lunar X Prize, announced Jan. 22 that it has signed an agreement to use a former launch site at Cape Canaveral for building and testing its lunar lander spacecraft. Moon Express said it has signed an agreement with Space Florida, the state space development agency, to use Space Launch Complex 36 (SLC-36) at Cape Canaveral Air Force Station. Terms of the agreement were not disclosed, although the company said it would make an initial capital investment there of as much as $500,000. The international agency that regulates satellite orbital slots and broadcast frequencies has registered at least a half-dozen filings for massive constellations of satellites in the past eight weeks, a development that suggests a Gold Rush mentality may be taking hold. Behind these registrations, all made through governments, may hide well-known names including SpaceX, Google, Virgin Group, Qualcomm or other investors that in recent weeks have, in different ways, made public their interest in launching hundreds, even thousands, of satellites to provide global Internet service. For now, the filings at the International Telecommunication Union (ITU) of Geneva, a United Nations agency, are not obliged to show their hands beyond the barest information about the orbits they intend to use and the number of satellites to be launched. Despite a desire by industry and policymakers for more details about NASA’s long-term plans to send humans to Mars, agency officials say they have no immediate plans to revise a Mars mission architecture last updated in 2009. In presentations to a NASA Advisory Council committee Jan. 13 and the full council Jan. 14, NASA associate administrator for human exploration and operations William Gerstenmaier said the agency still had more to learn, including studies ongoing with academia, before it would be ready to update those earlier plans. Microsoft announced the futuristic at-home augmented reality project Windows Holographic today, and one of the many different uses the company teased was a collaboration with NASA and the Curiosity rover team. Now, NASA has released more information on the software it built for Holographic, a program called OnSight. By using Microsoft's HoloLens visor, NASA scientists will be able virtually explore the areas of Mars that Curiosity is studying in a fully immersive way. It will also allow them to plan new routes for the rover, examine Curiosity's worksite from a first-person view, and conduct science experiments using the rover's data. The multibillion-dollar Mobile User Objective System ultimately will consist of four geostationary-orbiting satellites plus one on-orbit spare, and four ground stations. Built by Lockheed Martin Space Systems of Sunnyvale, California, the MUOS constellation is designed to provide smartphone-like communications to mobile forces at rates 10 times faster than the legacy system. The SpaceX founder and Tesla CEO took the stage at Seattle Center on Friday and delivered his vision for creating an entirely new satellite Internet network that he believes could ultimately lead to the establishment of a city on Mars. “We want to revolutionize the satellite side of things just as we’ve done with the rocket side of things,” he said. But that’s just the beginning. Revealing his grand vision, Musk explained that the funds and technology from the Space X satellite Internet venture will ultimately be used to colonize Mars. He later teased ahead to an upcoming announcement, potentially later this year, about a new “transport architecture” that would ultimately make human travel to the Red Planet economical. Tests of the crew escape system for SpaceX’s Dragon spacecraft, once scheduled for November 2014 and, more recently, January, now will take place “later this year,” a company spokesman said Jan. 14. NASA is partially funding these tests under the milestone-based Commercial Crew Integrated Capability (CCiCap) Space Act Agreement it awarded SpaceX in 2012. That deal is separate from the more recent Commercial Crew Transportation Capability (CCtCap) contract the company got in September to complete development of crewed versions of its Falcon 9 rocket and Dragon spacecraft. The European Space Agency is actively working with China with the goal of placing a European astronaut on the Chinese space station as part of a relationship that is likely to grow now that ESA governments have made China one of three long-term strategic partners for the agency, ESA Director-General Jean-Jacques Dordain said Jan. 16. For the moment, Dordain said, there are no specific plans for an ESA astronaut mission aboard China’s space station. But government ministers from the 20-nation ESA — to become 22 nations in the coming weeks with the addition of Hungary and Estonia — in December for the first time formally listed China alongside the United States and Russia as core ESA strategic partners. The U.K. Space Agency on Jan. 16 said the Beagle 2 Mars lander, which disappeared 11 years ago and was presumed to have crashed on Mars, has been found on the martian surface in a condition suggesting a successful touchdown and partial deployment. The announcement was made following a lengthy analysis, over several years, of images from Mars orbiters, notably NASA’s Mars Reconnaissance Orbiter featuring the HiRISE camera. The search has been led by Michael Croon of Germany, who in 2002 was with the European Space Agency’s ESOC operations center in Darmstadt, Germany, and a member of ESA’s Mars Express team. SpaceX chief executive Elon Musk released a series of images Jan. 16 showing a Falcon 9 first stage crash-landing on a ship and exploding after a launch earlier in the month. In a series of tweets, Musk posted images taken by a camera on the company’s “autonomous spaceport drone ship” Jan. 10 as a Falcon 9 first stage attempted to land there after a launch from Cape Canaveral. The attempted landing was the latest in a series of tests by the company to demonstrate the ability to recover and reuse the first stage. Git Satellite to Sponsor SatCom Solutions for World Record Baloon Flight! A team of internationally renowned balloonists seeks to break the absolute world distance record and possibly the absolute world duration record for helium balloons. After sitting dormant for nearly seven years the Two Eagles is ready to fly. Pilots Troy Bradley and Leonid Tiukhtyaev, along with the advice of their meteorologist and flight team, have decided to make an attempt on the Pacific Ocean this year. The pilots and team are working towards a launch this winter season. 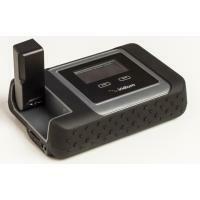 The launch will most likely occur in January or February 2015. "The goal is to find a weather window that will move eastwards from East Asia to North America. Such a window must be found between two frontal systems associated with low pressures (depressions) which will move under the polar and/or the tropical jetstream(s) over the Northern Pacific. One of the main problems will be to fly the balloon not too fast or too slow between the bad weather features to avoid the turbulent and humid conditions associated with the fronts. If 7 to 12 knots are acceptable wind speeds during the take-off and the landing of the balloon, there are no limits when the balloon is at altitude and speeds of more than 100 knots could be reached under the jetstreams." Git Satellite is going to sponsor the satellite communications solutions for the trip, to ensure safety and communication throughout the journey. 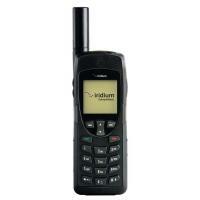 The team will have handheld Iridium satellite phones to cover for voice communication as well as Inmarsat equipment for any data requirements. Two high-orbiting U.S. Air Force space surveillance satellites that launched in July must show “unprecedented” maneuvering accuracy given their potential to cause damage in a heavily used belt of Earth orbit, according to a professional journal published by the service. The Geosynchronous Space Situational Awareness Program (GSSAP) satellites are capable of approaching and observing nearly 600 satellites in geosynchronous orbit, two former chief scientists for Air Force Space Command wrote in the November-December issue of the Air & Space Power Journal, a professional journal published by the Air Force Research Institute. The crew of the International Space Station evacuated to the station’s Russian segment early Jan. 14 after an alarm indicated a potential ammonia leak in the U.S. segment, but were allowed to return later the same day after mission controllers concluded it was a computer glitch and not a real leak. The European Space Agency (ESA) has selected Thales Alenia Space for one of the three phase B1 studies of the Planetary Transits and Oscillation of Stars (PLATO) program, part of ESA’s Cosmic Vision 2015-25. The main purpose of the PLATO mission, scheduled for launch in 2024, is to study planetary systems outside the solar system by identifying and analyzing planetary transits. Mining is the very definition of heavy industry. With thousands of large machines doing heavy work, often in far-flung regions with little architecture, mining companies need powerful, efficient communications solutions they can count on to work no matter how far afield they operate. A SpaceX Falcon 9 rocket with a Dragon capsule launched from Cape Canaveral, Fla. at 4:47 a.m. EST headed to the International Space Station (ISS) as part of the launcher’s Commercial Resupply Services (CRS) contract with NASA. The launch, delayed from 2014, carried more than two tons of supplies and experiments to the ISS as well as two satellites for Planet Labs. 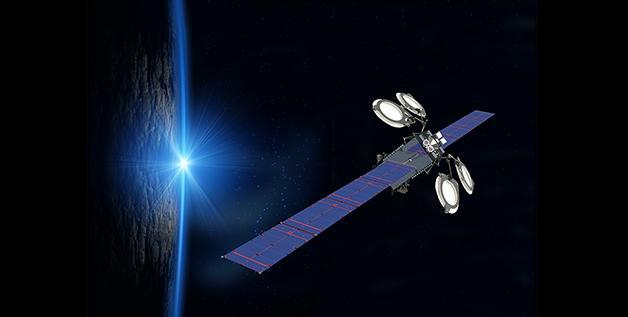 Boeing has completed production of two all-electric propulsion satellites: the ABS 3A satellite for Asia Broadcast Satellite and the Eutelsat 115 West B satellite for Eutelsat. The Boeing 702SP (small platform) satellites have a lower price tag, significantly lower weight, and provide more options for movement to different orbital positions, according to the satellite manufacturer. Reports in Russian media have claimed that the launch of Inmarsat’s second Global Xpress (GX) satellite has been delayed once more, due to a malfunction with the Boeing-manufactured I-5 F2 – though this time the schedule has been pushed back by only two days. Strong demand for satellite services will continue to drive the need for satellites and launchers, upping the competition for satellite and launch contracts over the next 10 years, according to new research from Frost & Sullivan. In the research firm’s new “Global Launch Systems and Satellites” report, the number of launches and satellites placed in orbit will increase between now and 2025. 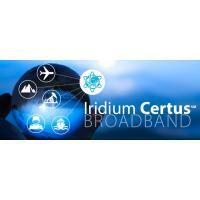 The Iridium NEXT platform software, developed by prime contractor Thales Alenia Space with contributions from Selex Galileo, has completed the first testing phase. Designed to handle all flight functions, such as attitude control, solar array positioning and navigation, the test was one of three to be completed ahead of the first Iridium NEXT launch this year. The French Space Agency CNES has selected Thales Alenia Space to build the Surface Water and Ocean Topography (SWOT) satellite, a joint demonstration mission between CNES and NASA. Thales Alenia Space is creating a new platform for the satellite that enables a controlled atmospheric reentry at the end of the spacecraft’s life, in line with the French Space Operations Act. The Korean Ministry of Science, ICT and Future Planning announced that the nation’s satellite avoided collision with a space object, reversing its previous expectations from Saturday, according to Korea Times. Korea Times reported that the Korean science ministry said earlier on Saturday that the space object, part of the debris created during a crash between telecom satellites of the United States and Russia in Feb. 2009, would approach Korea’s Science and Technology Satellite (STSAT) 3 and would likely collide with it. To enable NASA’s Soil Moisture Active Passive (SMAP) mission to meet its accuracy needs while covering the globe every three days or less, SMAP engineers at NASA’s Jet Propulsion Laboratory in Pasadena, Calif. designed and built the largest rotating antenna that could be stowed into a space of only 1 foot by 4 feet for launch on Jan. 29. The dish is 19.7 feet in diameter. SMAP will measure the moisture lodged in Earth’s soils with high accuracy and resolution. The instrument’s three main parts are a radar, a radiometer and the largest rotating mesh antenna ever deployed in space. Commercial weather company Tempus Global Data has signed a joint operating agreement with Ball Aerospace for the manufacture of six hyperspectral atmospheric sounding sensors based on the Sounding and Tracking Observatory for Regional Meteorology (STORM) instrument. As prime contractor, Ball Aerospace will build the constellation of six hosted payload sounders, and may also build two additional sensors to be deployed as free-fliers. Sierra Nevada Corporation (SNC), prime contractor for the Orbcomm Second Generation (OG2) satellites transferred operations to Orbcomm in mid-September, the company reported this month. In the 60 days following the July 14 launch by SpaceX, SNC and Orbcomm completed the deployment and checkout of all six spacecraft. The country of China has been entirely mapped in High Definition (HD) by satellite, according to the Chinese National Administration of Surveying, Mapping and Geoinformation. China began photographing the country at a level that can clearly image objects smaller than one meter by satellite in 2012. As of 2014, the compiled imagery covered the entire land territory of the country. Mission controllers at NASA’s Jet Propulsion Laboratory (JPL) have beamed the programmed maneuvers for the Dawn spacecraft to begin its approach phase as it nears Ceres, the largest body in the asteroid belt. Dawn was recently behind the sun relative to Earth during a period of time known as solar conjunction that limited communication with antennas on Earth. The spacecraft emerged 640,000 kilometers from Ceres, approaching at 750 kilometers per hour. International Launch Services (ILS) lofted the Astra 2G satellite for SES on Dec. 27 using a Proton Breeze M booster. The rocket carried the six-ton satellite into Geostationary Transfer Orbit (GTO) after a mission lasting nine hours and 12 minutes. The Russian remote sensing spacecraft Resurs P2 launched aboard a Soyuz 2.1b rocket on Dec. 26 2014 from the Baikonur Cosmodrome. The Earth observation satellite is capable of panchromatic and hyperspectral imaging, and carries equipment for automatic ship identification. The Japan Meteorological Agency has released the first images from the Himawari 8 geostationary weather satellite, which launched Oct. 7, 2014 aboard an H2A rocket. Mitsubishi Electric built the satellite using the DS2000 platform. Lockheed Martin reports the third Mobile User Objective System satellite (MUOS 3) is encapsulated in its payload fairing for a Jan. 20, 2015 launch. United Launch Alliance (ULA) is contracted to launch the U.S. Navy satellite aboard an Atlas 5 rocket.